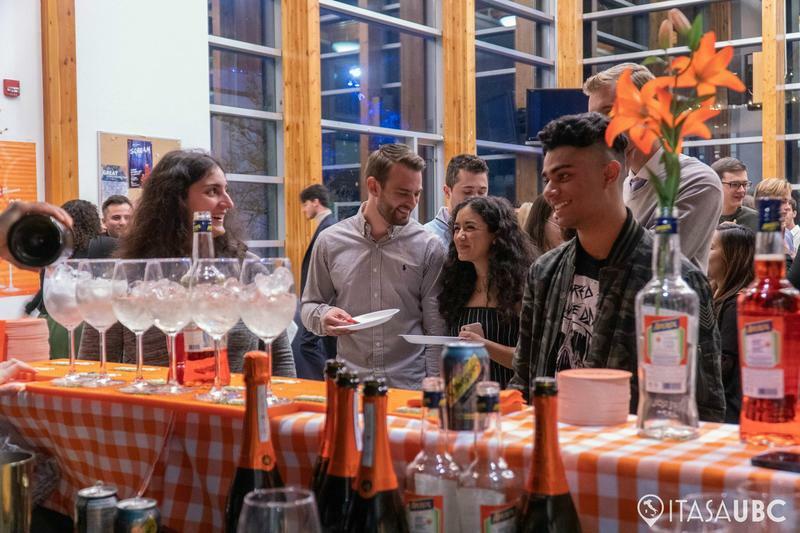 It was in a train heading to Monte Carlo in the summer of their third year at UBC when Lorenzo De Bernardini and Anna Lazzereschi first started talking about the possibility of starting a club for Italian students. “We look around and we see huge communities … and they all know each other and we don’t. … We thought we had to start something so that we could make a group and unite all the Italians on campus,” said De Bernardini, who is currently president of the UBC Italian Student Association (ITASA). Now-treasurer Lazzereschi and a few friends who are current club executives were the ones who sent in the club application to the AMS in August 2017. But it was only after tumultuous processing delays and issues, which caused De Bernardini to call on the AMS omsbudperson, that ITASA was finally granted official club status in early 2018. Despite growing pains, ITASA has been extremely successful in building relationships and working collaboratively with UBC student associations, outside organizations and surprisingly, the Italian Consulate in Vancouver. A few club members approached the Italian Cultural Centre in search of collaboration opportunities, who then directed them to the Cultural Office of the Italian Consulate. Due to its role in carrying out actions to promote the Italian language and culture, the consulate was very happy to work with the student group. ITASA has an ongoing film screening series and the last film shown, “La Banda Grossi,” was attended by both the director, Claudio Ripalti, and the Italian Consul who suggested that the film be screened at UBC. It was also through the consulate that ITASA has connections with Italian grocery stores and importers in Vancouver from whom they source the food and drinks served at their events. It is all imported directly from Italy and is part of the club’s efforts to share their culture. Apart from an ambitious event schedule, ITASA also offers weekly workshops to students who are studying Italian and would like to practice with native speakers. “[Our club] doesn’t represent the stereotypes about Italy that people think, but what we’re trying to show is the true culture and what it actually means to come from Italy,” said Lazzereschi. “Whatever is shown [in popular culture] doesn’t really represent Italian culture and we’re trying to show the truth,” said De Bernardini.